Stroller company Quinny is looking to put a new spin on the boring old stroller. Their latest model, dubbed the Longboardstroller, is exactly what it sounds like: a Frankenstein hybrid of a stroller and a longboard. Like a mullet on wheels, the Longboardstroller is business in the front and party in the back. The vehicle allows parents to rocket their tikes around with speed and efficiency. Thanks to the board's handle, the motion resembles pushing the back of a grocery cart and gliding along—except it's, you know, hip. The entire structure folds up, too, making it easy to carry around town. 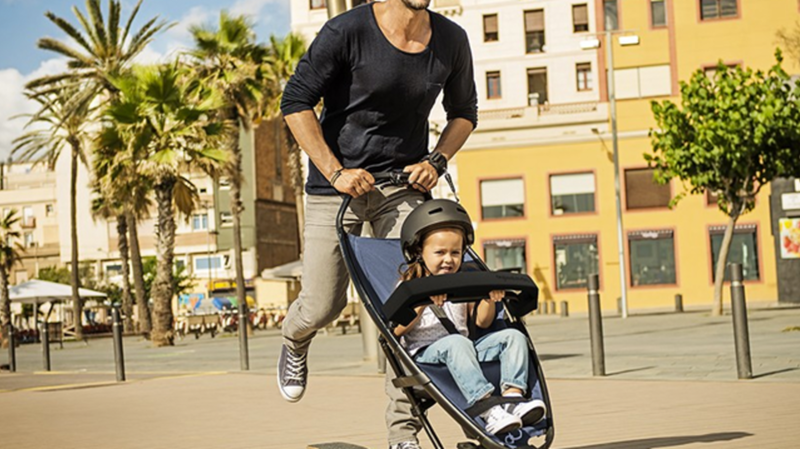 If you're looking to make your stroller time way more radical, you can pick up one of these bad boys for €599 ($661)—but sadly, only if you live in the European Union. All images courtesy of Quinny.